I was so lucky that few weeks ago I received an offer on my e-mail. Someone offered me a bunch of new books to be read and reviewed. Without thinking twice, I scanned the whole collections, and my first choice was this book! Yep. 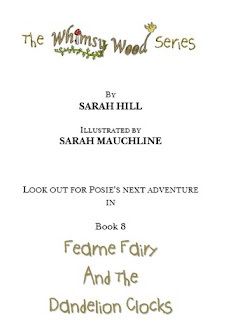 It's from a famous serial of Posie Pixie of Whimsy Wood Serial. 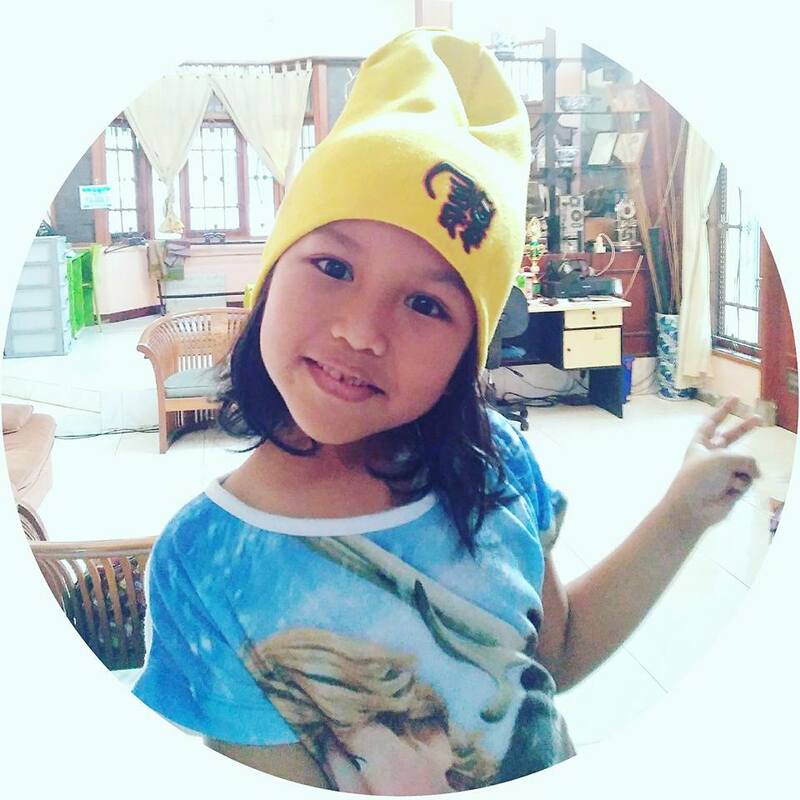 Living in Indonesia, it's hard to find english children book. If I was lucky enough to find it, the price is sometimes so amazing. If I order direct to the publisher, the shipping cost also out of my mind. 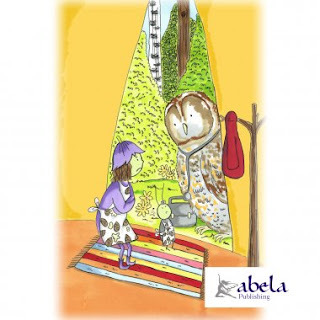 While my little girl always prefer to read and to be read english book (with exciting illustration, of course). 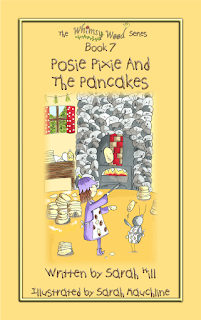 This particular book, Posie Pixie and The Pancakes is the 7th volume of Posie Pixie's adventure in the wondrous Whimsy Woods. It was just launched last week (as I read from the Facebook fanpage). I haven't read the previous series, but I think each book can stand on its own. 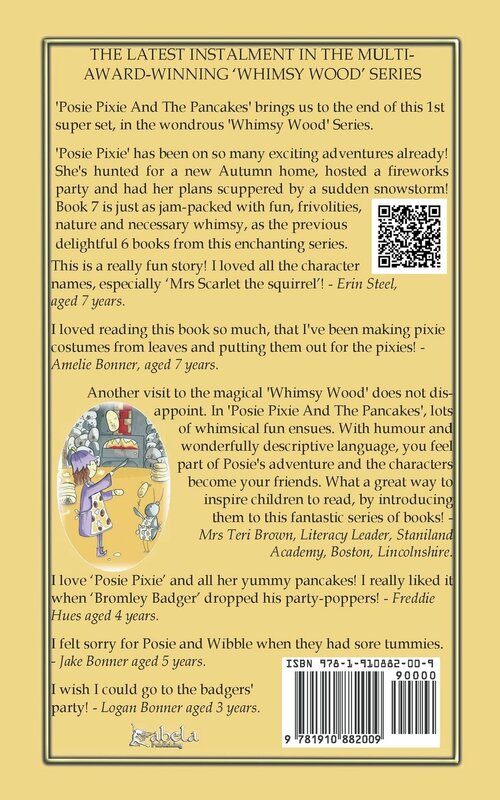 There was a brief introduction of each character, like Mrs. Scarlet the squirrel and Wibble the wood louse. Reading through the book was such a joy with my daughter. 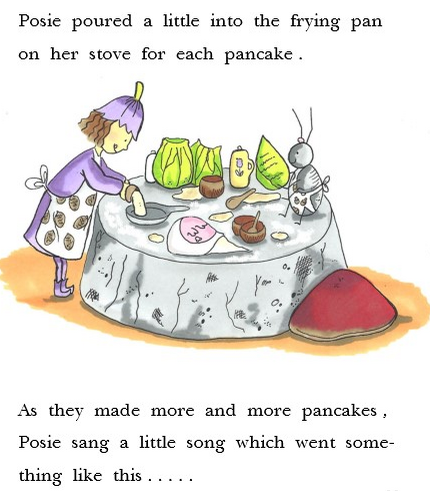 She can't read though, but she really enjoy Posie's and Wibble's adventure in making pancake by looking at the illustration. I have to give credits to Sarah Mauchline too for such a cute and intriguing illustration that make the story even more alive. Overall, we both (I and my daughter) enjoy reading this book and feel sorry about Posie and Wibble because their stomach hurt. Ooo, what happened? 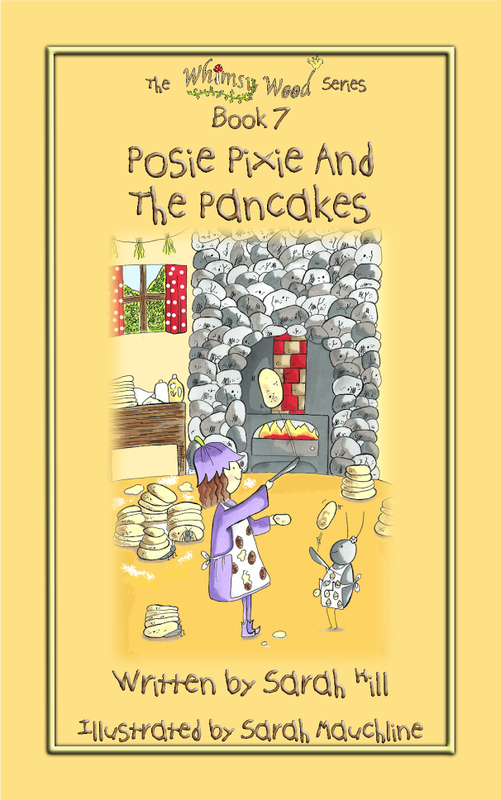 You should grab this book, get your kids to sit on a cozy couch and find out together. Really, it was an awesome quality time with family. 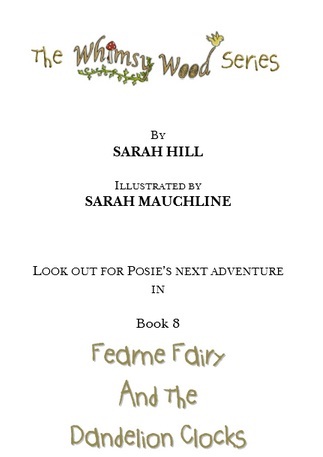 Lastly, I have to thank Sarah Hill who has introduced me to Posie Pixie and her friends in Whimsy Woods. I have to find another 6 series. Oh, and by the way, if you buy the paperback direct from the publisher, you will donate certain amount to Wildlife Trust as well. 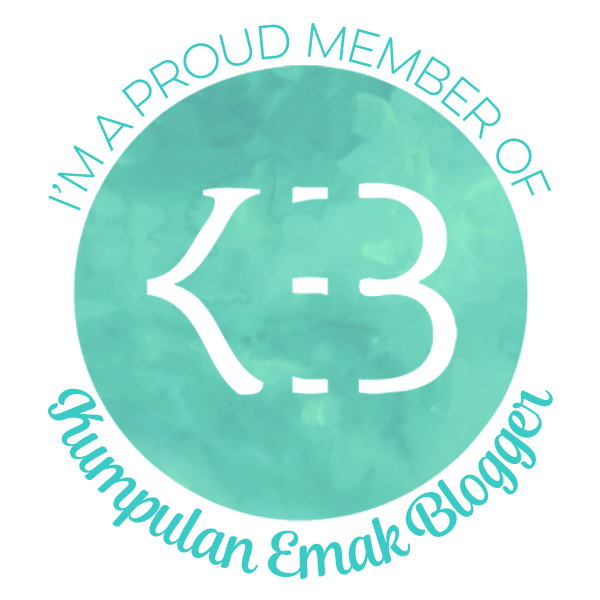 Visit here to make a purchase. 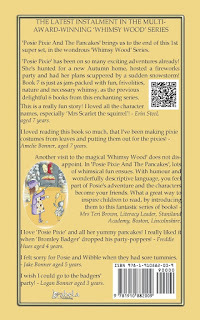 Or here to find out more about Whimsy Wood series. 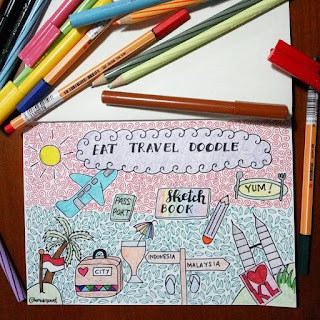 uwooowwww... i want it alsoo..
ada beberapa buku anak berbahasa inggris yang pingin banget ku review karena ceritanya yang sederhana tapi mengena banget. 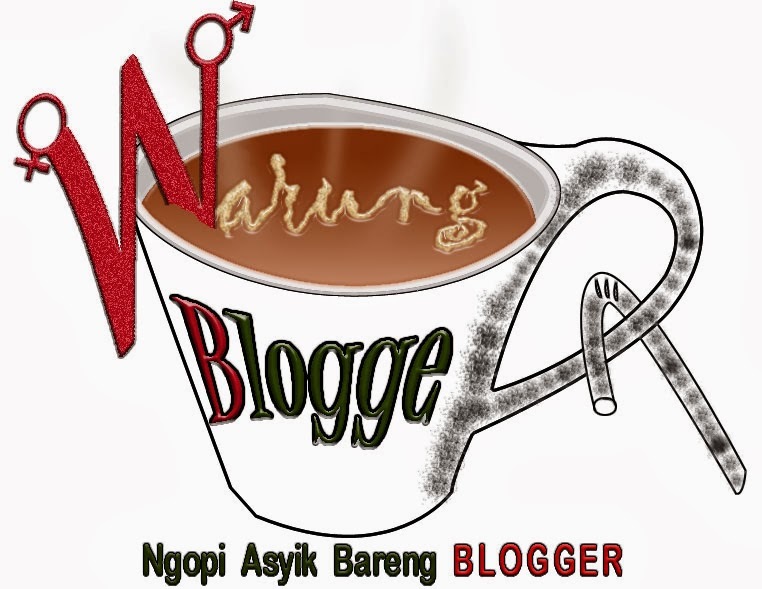 cuma tak pede dg enggrisku yang sduah bubar jalan, pake bahasa indonesia ajah kali yaa?? 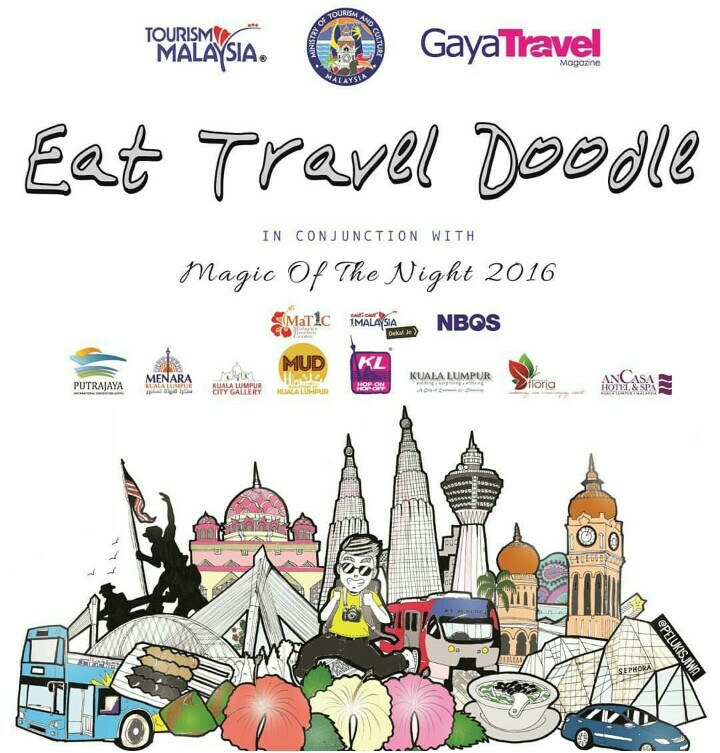 mak, may I get this without buying? My kid always interest with adventure story with colorful illustration.